The following message is provided by the University of Macau Faculty of Business Administration Alumni Association, posted by the Alumni and Development Office. 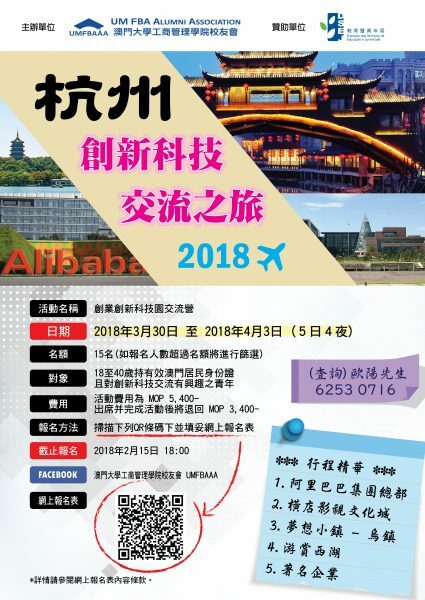 University of Macau Faculty of Business Administration Alumni Association (UMFBAAA) is going to organize “Startup, Innovation and Technology Exchange Tour” from 30 March to 3 April 2018. Interested alumni are welcome to join. For details, please refer to the poster or registration link.